Kings Cottage Barn01263 715779work01603 870304fax Self-cateringThis wonderful barn conversion sits next to the owner's pretty gardens and offers quiet, secluded and cosy accommodation for families, couples and groups. With plenty of pubs and restaurants in the surrounding area, guests can enjoy the finer aspects of countryside living whilst simultaneously taking in its evident natural beauty. This property features comfortable furniture, tasteful decoration and well-maintained utilities. Kings Cottage Barn offers weekly bookings starting on Saturday. Kings Cottage B offers weekly bookings starting on Saturday. 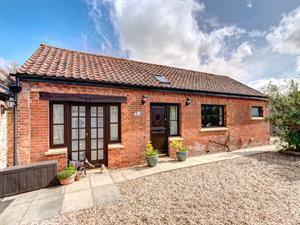 This wonderful barn conversion sits next to the owner's pretty gardens and offers quiet, secluded and cosy accommodation for families, couples and groups. With plenty of pubs and restaurants in the surrounding area, guests can enjoy the finer aspects of countryside living whilst simultaneously taking in its evident natural beauty. This property features comfortable furniture, tasteful decoration and well-maintained utilities. From A47 King's Lynn, A148 to Hunstanton, A149 to Cromer, A1067 to Norwich. Stibbard five miles from Fakenham. From A47 Norwich, A1067 to Fakenham.